One of the best ways to relax is to give yourself a cup of tea. Red tea, green tea, chamomile tea, rose tea, and other types of teas are proven to improve one’s mood. Aside from that, it can also help you prevent death-causing diseases. Now, if you want a freshly-made tea every day, you might want to invest in a tea maker. Since there are hundreds—no, thousands of choices in the market today, it can be challenging to choose the right tea maker for you. Do not worry; we’ve got your back! We’ve reviewed the top 10 best tea makers to buy and created a list just for you. Here are the following best tea makers that are superior in technology, innovation, and durability. This one-touch tea maker from Breville features an auto start and tea basket cycle that can auto lower and lift. It is constructed using brushed stainless steel power base to last for a long time. The 60-minute keep warm feature is handy in keeping your tea fresh and warm at all time. It also features variable temperature control that allows you to enjoy the desired temperature of your tea. The LCD timer helps to monitor the freshness of the tea with its time since brew feature. If you want to draw out the best flavors of your favorite tea, you’ve got to brew it right. 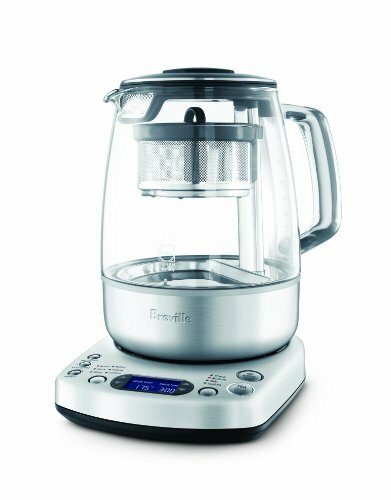 And this tea maker will help you to enjoy fresh tea every day without breaking your bank. 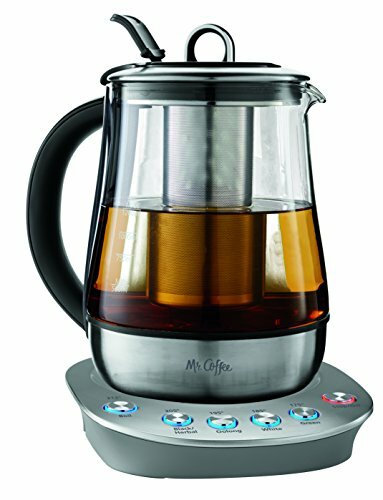 Next is the Mr. Coffee hot tea maker and kettle in one. This tea maker can accommodate up to 1.2 liters of fresh tea. It has a water level indicator that can reach up to five cups. Enjoy the preset selections for steeping different types of tea, be it a black tea, herbal tea, white tea, or green tea. It also features a “boil” and “keep warm” feature controls for optimal convenience. The package includes a kettle made of stainless steel with premium quality Schott Duran glass. You can remove the stainless tea infuser and wash it regularly. Anyone wouldn’t surely miss this coffee maker from Mr. Coffee that can prepare coffee, tea, and cocoa. 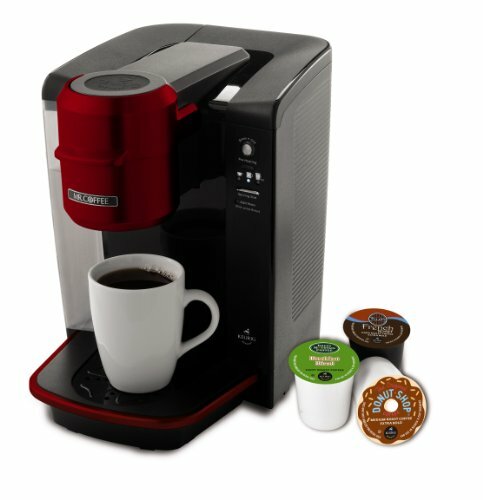 This device is powered by the Keurig Brewing Technology and utilizes Keurig K-Cup packs. 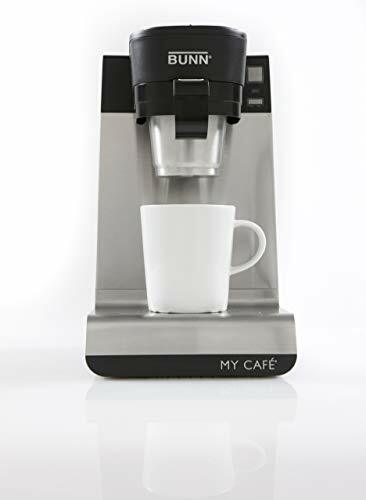 If you want to make coffee as a sideline business or perhaps you have a large family to serve, this is the perfect device for you. The 40oz. The water reservoir is removable, allowing you to enjoy multiple brewing without the need of refilling. You can also remove the drip tray to accommodate larger cups and travel mugs. The package includes a sampler pack with 5 K-cups. Despite its advanced technology, great durability, and sleek appearance, the price is affordable by many. So, if you’d like to own a coffee maker that will last for a long time, you might want to consider this product. 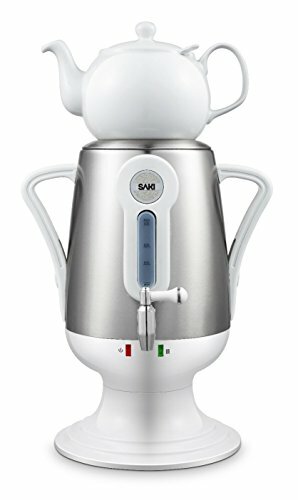 But if you are on a tight budget, you should check out the Saki Samovar tea maker kettle with porcelain teapot. This premium quality tea maker can accommodate up to 3.2 liters of water. The teapot is made of porcelain that’s perfect for brewing large or small leaf herbal tea. It can withstand extreme temperature and keeps the tea warm. The stainless steel filter ensures that there are no particulates in your tea when you sip on it. It also features a “boil” and “keep warm” control, allowing you to prepare more than tea. Buyers can enjoy up to one-year limited warranty upon purchasing the product. Next, we have the BUNN single cup multi-use home coffee brewer. It is made of high-quality plastic material. You can brew ground coffee, and K-cups using this device. Whatever your taste is from loose tea to tea pods, this tea maker is perfect for you. The package includes ground coffee, pod, cup, and hot water drawers. The “pulse brew” option will extract the bolder flavor. This tea maker can brew up to 14-ounce servings. You can buy this product in a reasonable amount of price. If you are a fan of iced tea, check out the Hamilton Beach electric iced tea maker. This slim two-quart pitcher can fit in any fridge. It features an indicator light and automatic shutoff for hassle-free use. The device has an adjustable brew-strength selector. This device is built to comply with the North American Electrical Standards, giving you peace of mind upon purchasing. You can adjust the settings for mild, medium, or strong brewing. It’s easy to use. The tea maker will also automatically shut off once you are done brewing. The lid is removable for cleaning purposes. 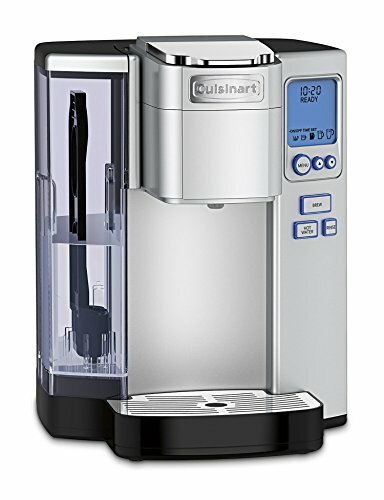 The Cuisinart premium single-serve coffee maker is made of stainless steel. It is compatible with K-cup brewer. The five beverage sizes range from 4 to 12 ox. This coffee maker allows you to prepare instant coffee, tea, and even soup and cocoa. Rinse feature will automatically clean the inside components of the brew chamber. This coffee maker is made of high-quality plastic materials. Thanks to its full spectrum of features, the automatic on/off and adjustable temperature, this device is hassle-free to use. Now you can prepare a larger number of coffees and teas on a regular basis. It also features a charcoal water filter, allowing you to achieve the best-tasting coffee or tea. 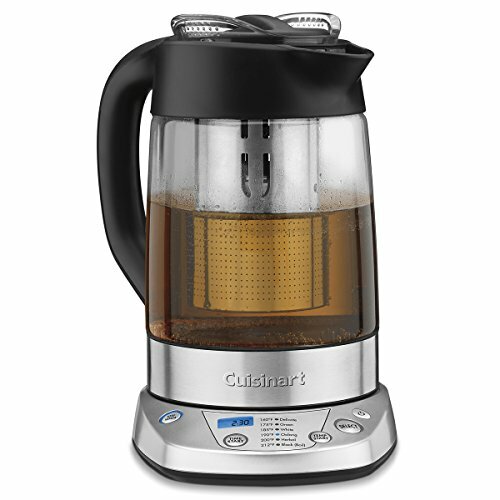 Another product we’re featuring from Cuisinart is this programmable tea steeper and kettle in one unit. It has a detachable stainless tea infuser that you can raise or lower to steep loose or bagged tea. The device features a programmable control, six preset temperatures (for delicate, oolong, herbal, white, and black teas). It also has a countdown adjustable steeping timer with a 30-minute keep warm option and a 2-minute lift-off memory feature. The cordless glass kettle can hold one liter for tea steeping and 1.2 liters as a water kettle. This model is the perfect device to use for homemade iced tea with a removable spout filter. This device is designed to prevent the risks of overheating, and it’s boil dry protection. The removable parts are safe to use in a dishwasher. 1500 watts for fast heat-up and easy preparing of tea. 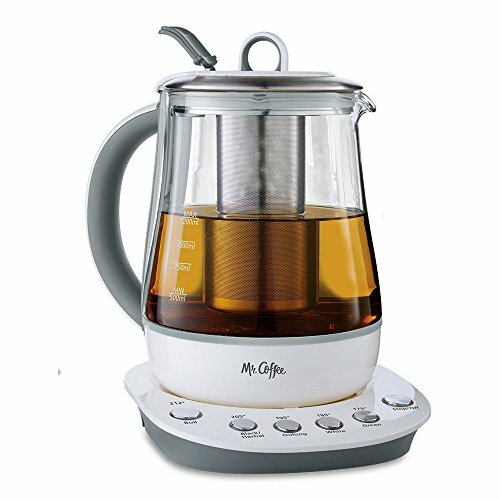 This sleek-looking hot tea maker/kettle is from Mr. Coffee. It is made of stainless steel and designed to last for a long time. 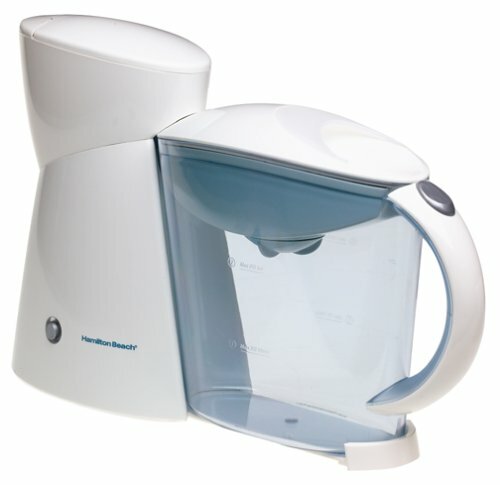 The 1.2 liter capacity with water level indicator of up to five cups tea maker is ideal for regular tea drinkers. Similar to its previous model, it also features preset selections for steeping different types of tea, be it black, white, green, herbal, or oolong tea. The “boil” and “keep warm” controls are designed to provide optimal comfort and convenience to the user. The package includes a stainless steel kettle along with premium quality Schott Duran glass. You can remove the stainless steel tea infuser and wash to keep it clean. Worry not because all removable parts of this device are dishwasher safe. 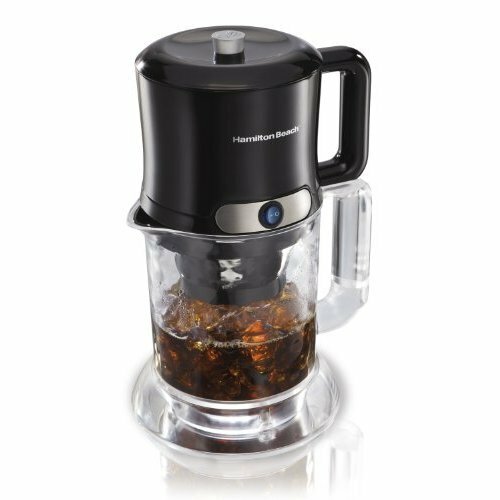 Lastly, we have the Hamilton Beach ice coffee and tea maker. Now you can prepare iced beverages in less than 10 minutes thanks to this device. Its decorative and sleek-looking pitcher can hold up to two quarts. It also has interchangeable coffee and tea filter baskets. You can brew loose or bagged tea thanks to its adjustable strength tea basket with no drip spout. The tip-resistant base is reliable and safe to place inside a refrigerator. All removable parts are safe to use in the dishwasher. This device is easy to use. You add some water, cubes of ice, and your favorite tea bag. After a few minutes, you can now enjoy your drinks with your friends and families.